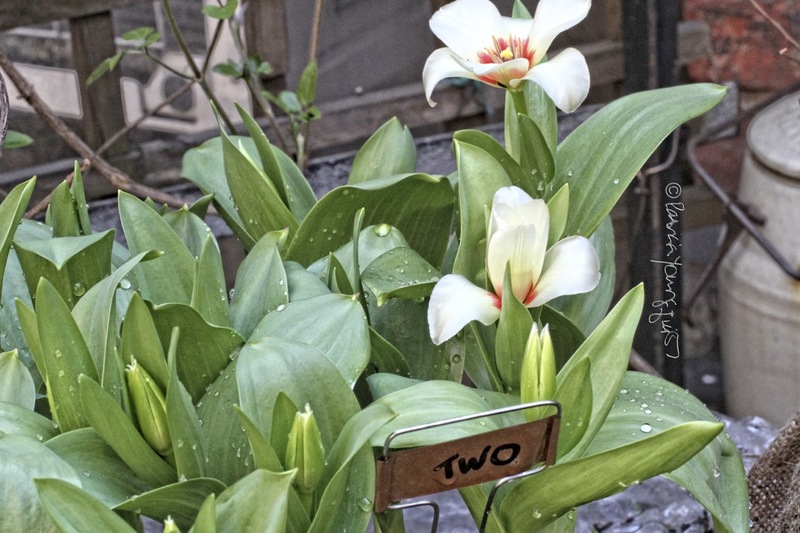 The Last Leaf Gardener: The Influence of Douglas William Jerrold + Mutts: A Shelter for New Born Flowers! The Influence of Douglas William Jerrold + Mutts: A Shelter for New Born Flowers! 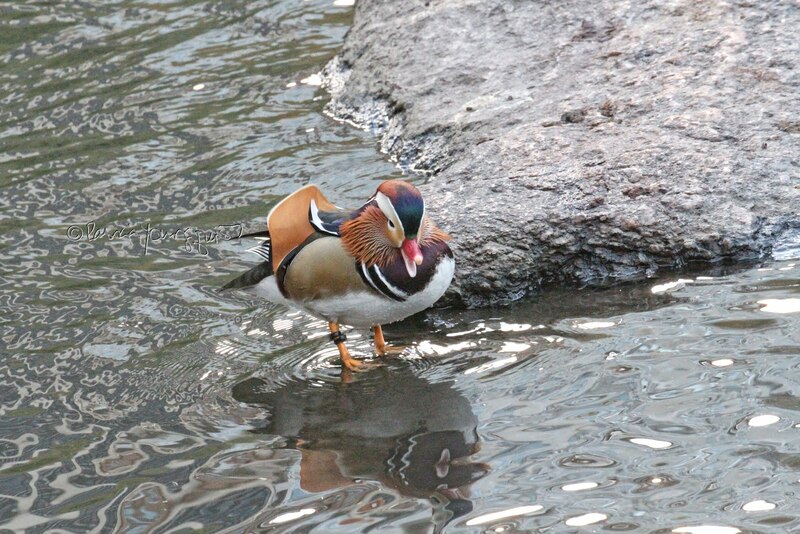 Douglas William Jerrold, the English dramatist and writer, is reported to have said, "He was so benevolent, so merciful a man that, in his mistaken passion, he would have held an umbrella over a duck in a shower of rain." I featured this quotation (as well as the Mutts comic strip that is posted atop this entry), in a 2011 post here on Blogger; where I discussed my concern for a small Japanese Larch (Larix Kaempferi) that I was growing at that time. This comic strip came to my mind today due to the weather patterns which have been (and still are) occurring in NYC, causing me to feel the need to bring certain flowers inside my home to protect them from losing their brand new petals! 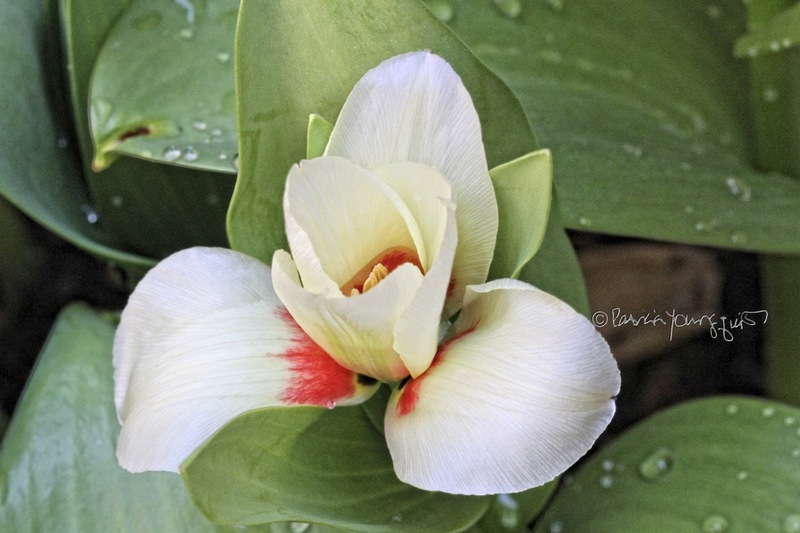 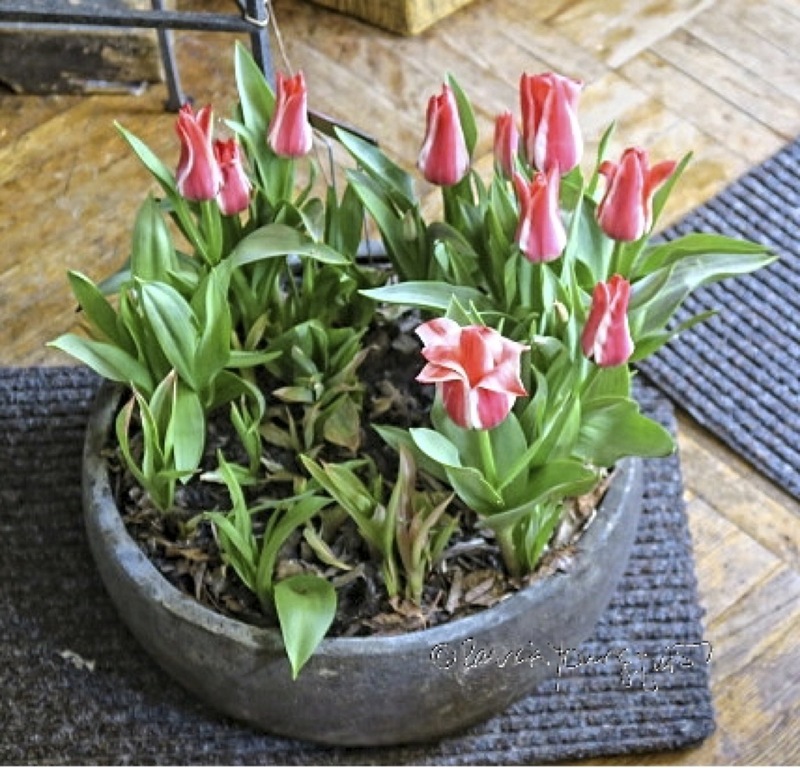 These include Elegant Lady Tulips (seen in my home in the first three images below where the latter picture features her with Hot Springs Water Lilies) as well as Monte Orange Tulips (shown in in my home in the fourth image). 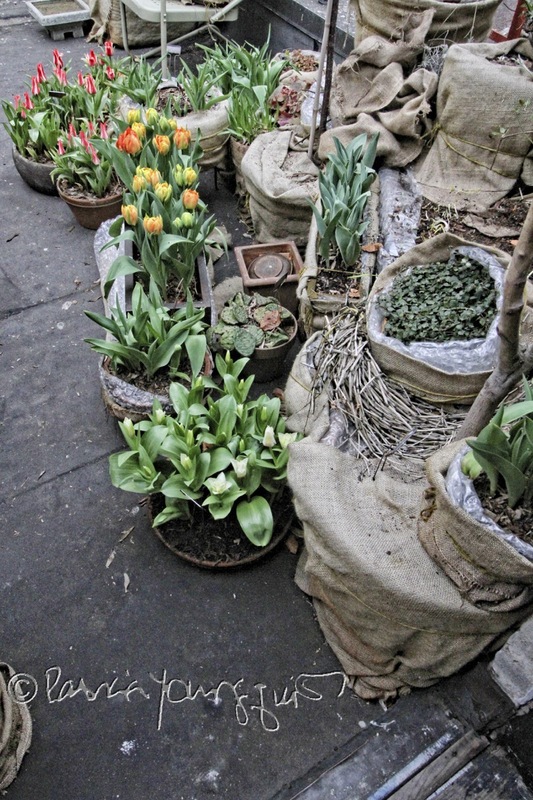 On Sunday, temperatures were thirty degrees lower than they had been the previous day, Saturday, April the fourteenth. In fact it was so warm this past Saturday, Juan V suggested I de-winterize (unwrap the containers) where certain flowers were thriving, as evidenced in the following photographs. As you can see the only difference in these two images is that I've added text to the latter of them to indicate the flower types who were beyond ready to shed their winter gear. 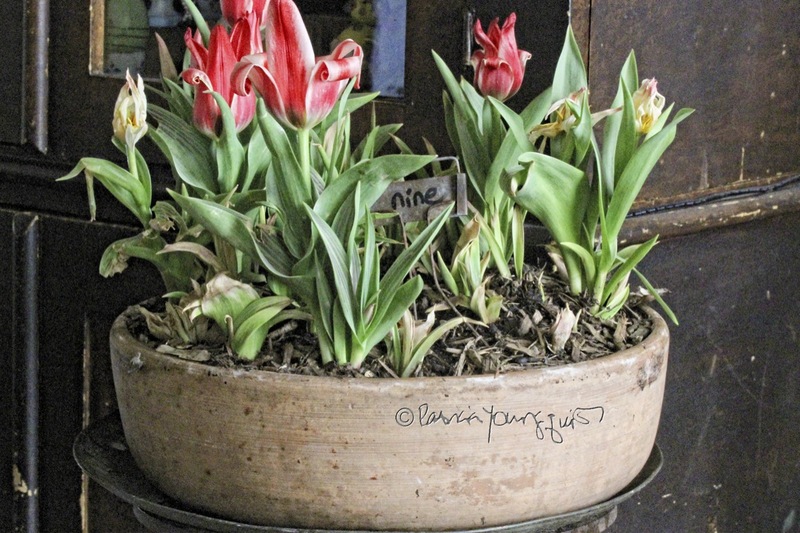 The "EL" placed by three containers indicates my Elegant Lady Tulip, which can be seen in close-up views directly below. 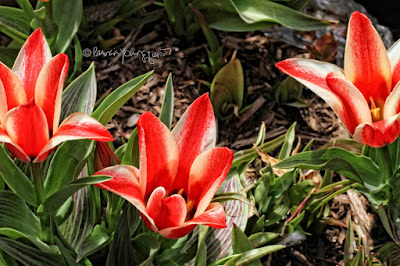 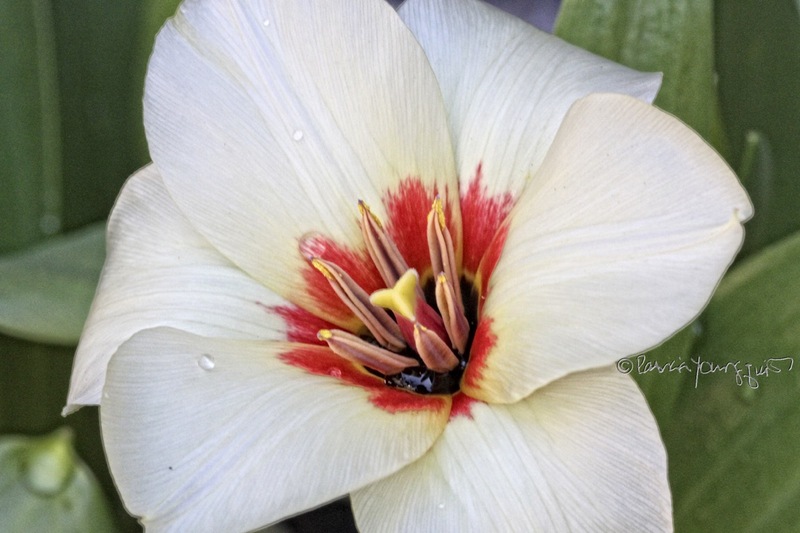 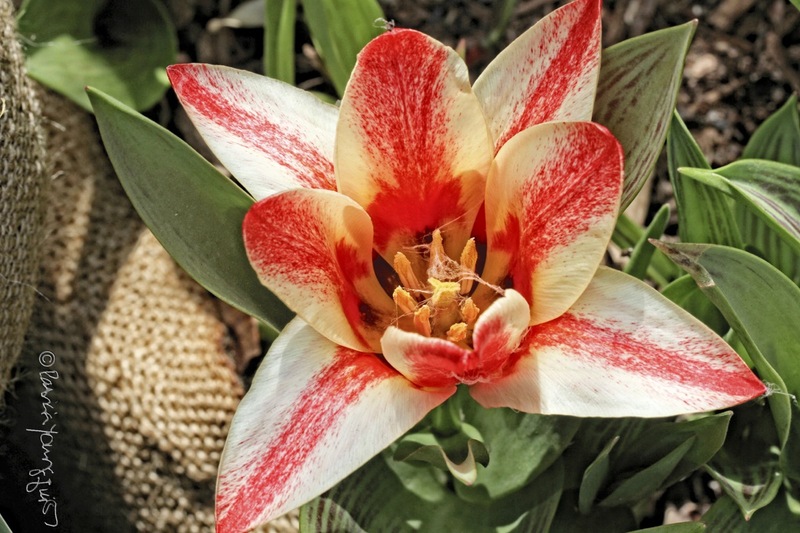 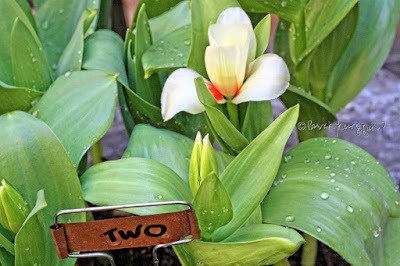 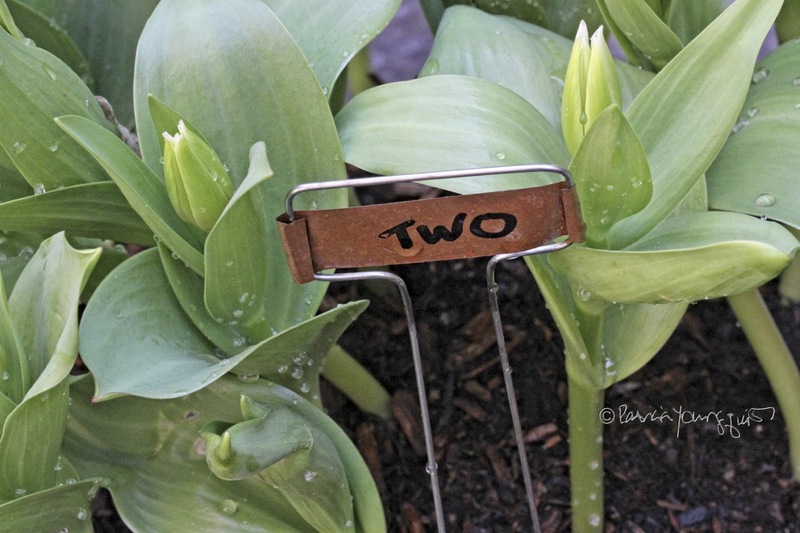 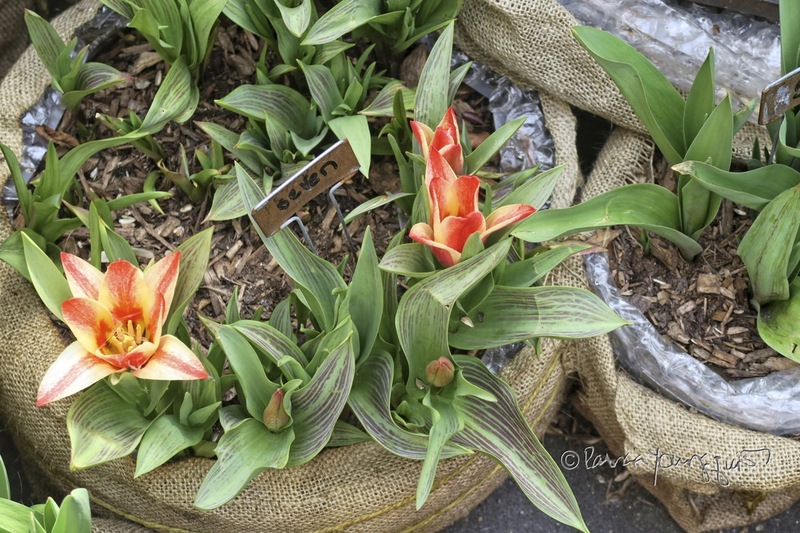 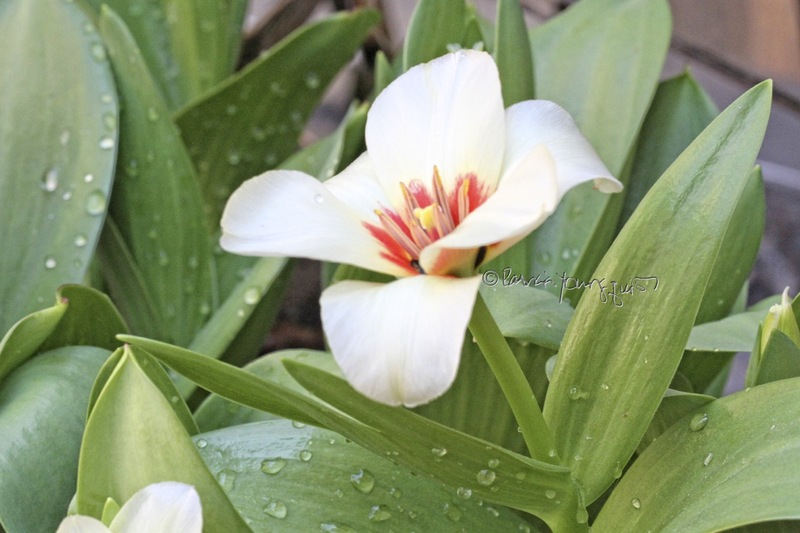 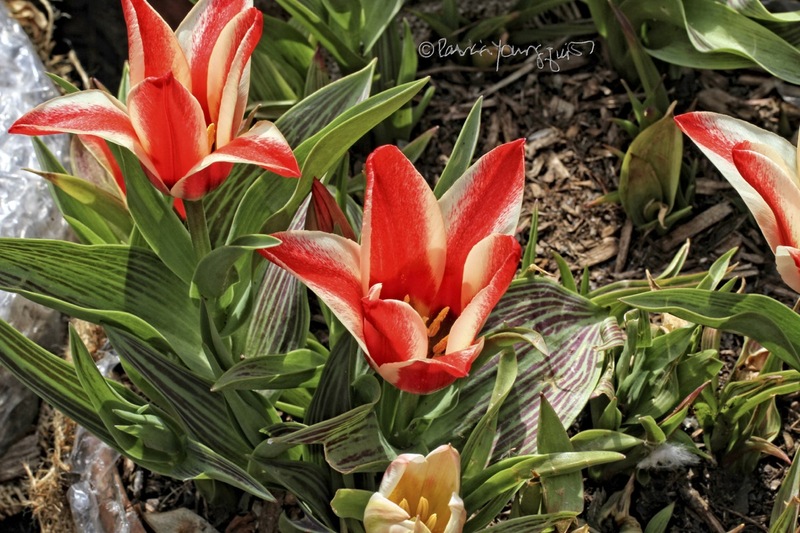 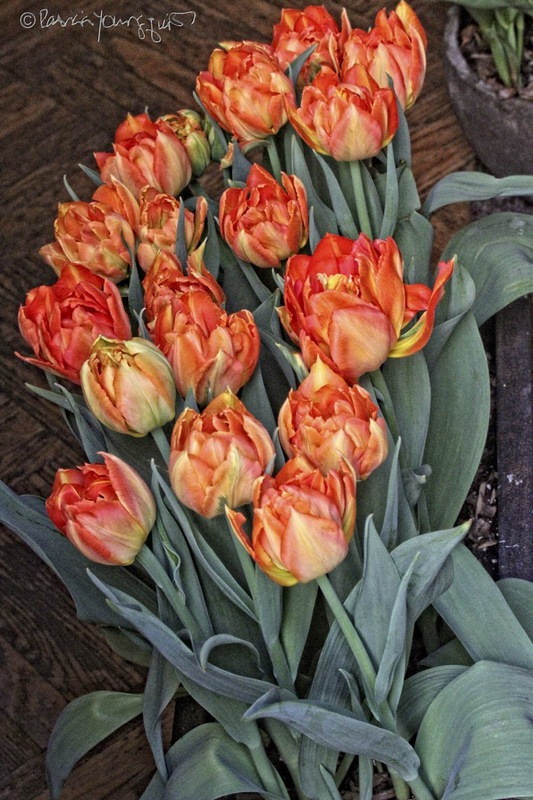 Another tulip type that was ready to get out of her winter wear is the Monte Orange Tulip variety (indicated by the text, "MO," a variety which I discussed in this past Friday's entry here on Blogger (where I included images of the Monte Orange Tulip variety). 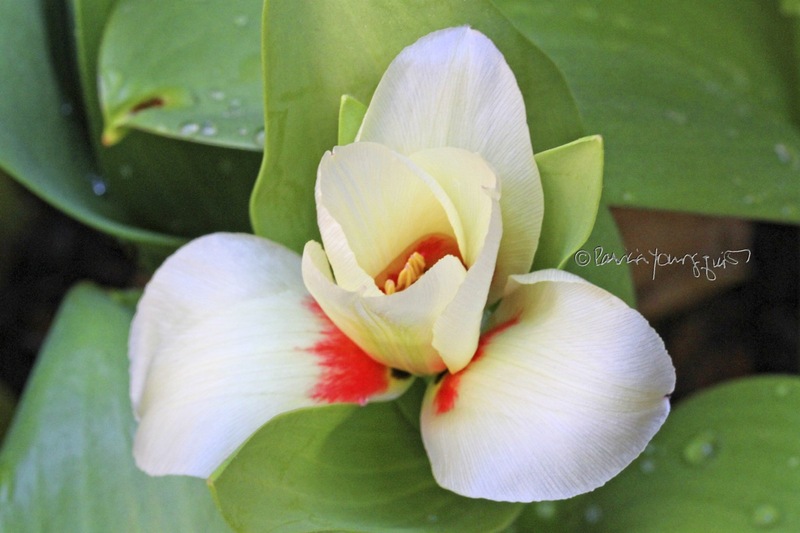 Yet flower type who was eager to shed her winterizing "apparel," is the one known as the Hot Springs Water Lily. She is referenced with the letters, "HSWL." 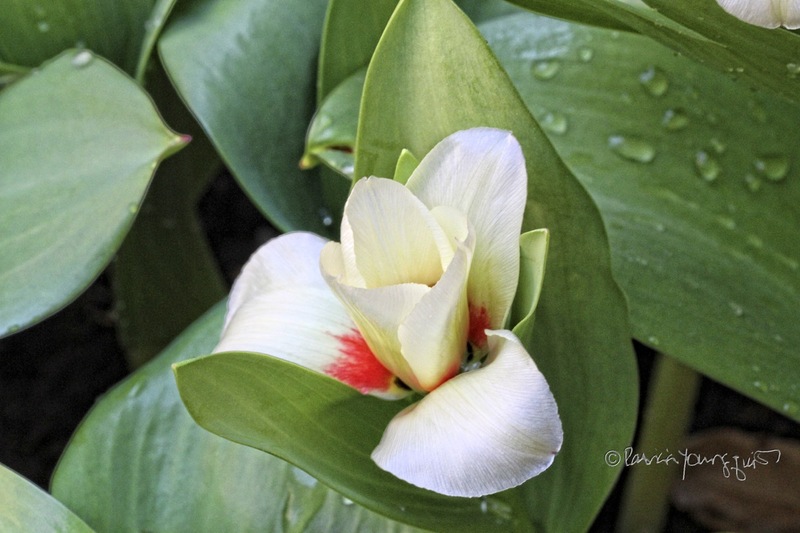 Some close-up images are featured in the next set of pictures. 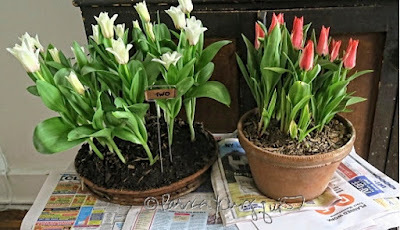 With all the wind and rain we had today, these flowers would've lost all their petals had I not brought them inside, and unlike the character in the comic strip above the entry, I couldn't stand outside and hold an umbrella over each of them! 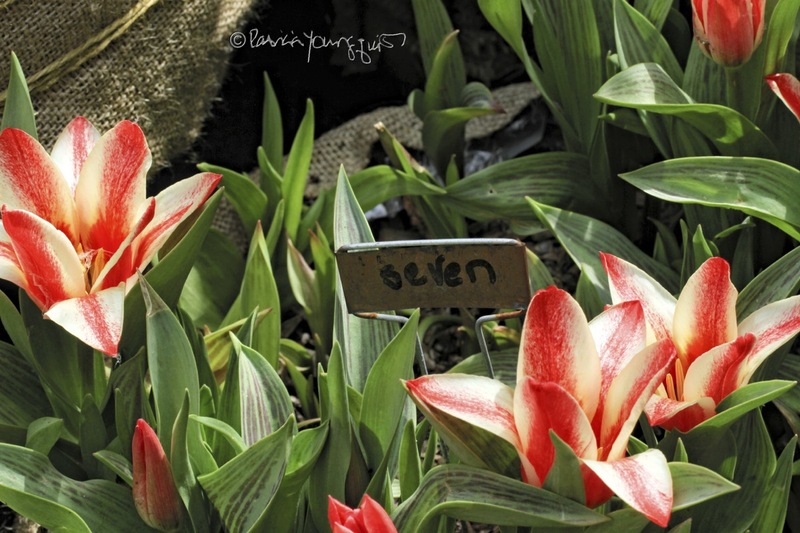 Btw, the other tulip varieties (Pinocchio Tulips, Je t'aime Tulips, and a Blumex Tulip 2017-2018 variety) are still waiting to bloom. They were also planted this past November (when the Elegant Lady, Monte Orange and Hot Springs Water Lily bulbs were planted). Please stay tuned for their progress. 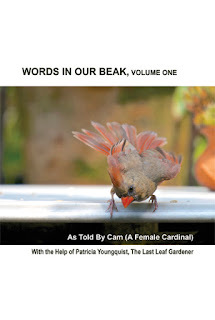 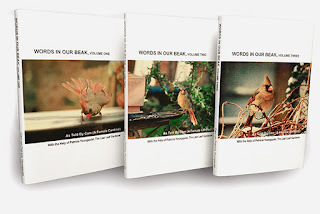 Meanwhile, if you appreciate flowers, you will probably enjoy volume one of Cam's book series, Words In Our Beak, which is pictured below (in volume two she talks about winterizing).